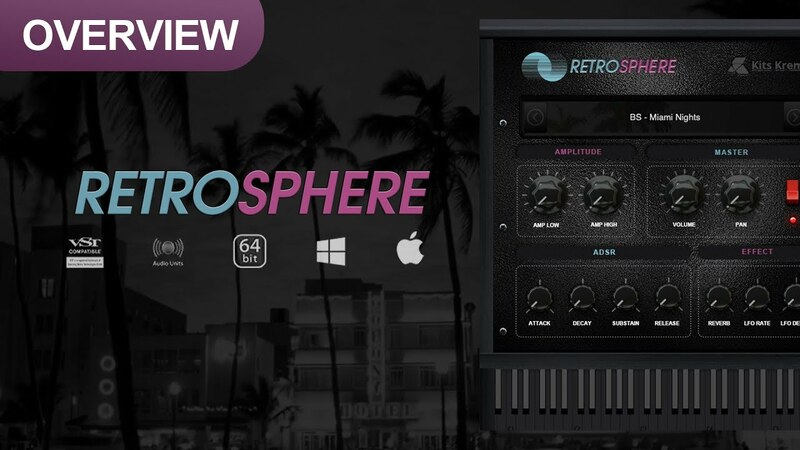 Retrosphere is an nostalgic, dark, 80s inspired virtual instrument. Containing 130 closely designed presets. Inside the library you will discover hypnotic pads, pulsating basslines, warm keys, dusty strings, analog synths, dreamy bells, melodic plucks & more. The preset library was built to cover several genres while containing the dark, retro character. These presets will flow well with the following genres: Synthwave, Vaporwave, Lo-Fi Hip Hop, Dark & Chill Hip Hop, Dark Trap, & R&B.